Although I missed the second installment in Japan, it was good to come full circle (or maybe triangle in this case) with the third THREE concert in Manila, reuniting with friends from the Ateneo Chamber Singers and Gaia Philharmonic Choir. And also friends from the UST Singers who came to support. Full of Love, full of Hope, full of Joy! Together for a better world, there was much to celebrate about. But maybe we under-estimated the power of our rain chant..
Who could have asked for more. Soul + Jazz + Classical + Tropical/Caribbean/Oohgachaka all in one. 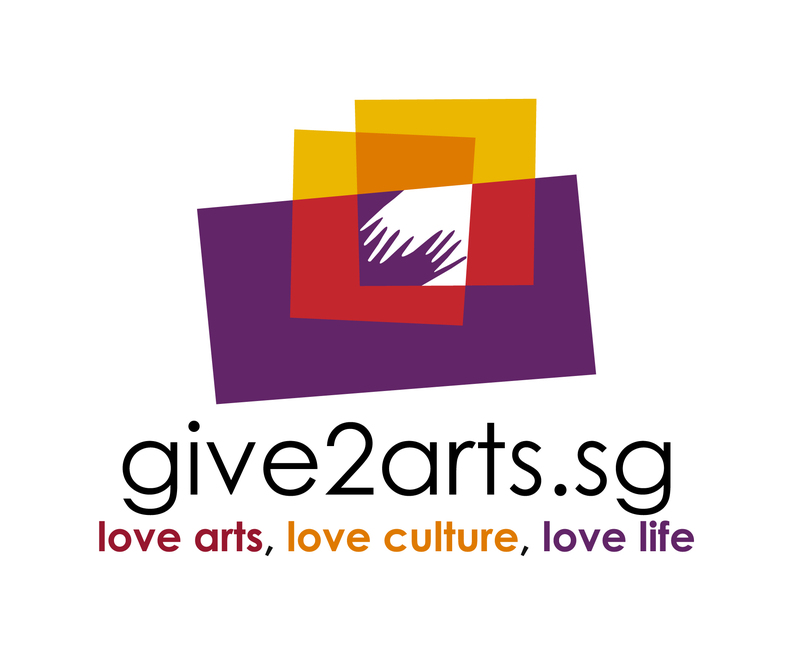 It was such fun working with Steve Dobrogosz, getting to speak with him on his musical ideas behind the pieces and singing his newly written Singapore Songs. It was also great sharing the stage again with local musicians Tamagoh and Tony Makarome. Singers of the World, Unite! As if we heeded a cry to gather, we then headed for Sopot, Poland to take part in the 7th International Choir Festival – Mundus Cantat Sopot 2011. Traveling halfway around the world in slightly over 24 hours, we forged new friendships with fellow choristers from Lithuania, Poland, Sweden and Turkey. One of the highlights of the festival was the march down Bohaterów Monte Cassino Street. I still vividly recall us waving our flags proudly. “This is my country, this is my flag…this is my family, these are my friends. 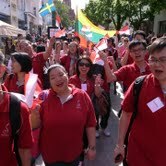 We are Singapore, Singaporeans!” loudly we proclaimed. Feelings of pride and patriotism coupled with excitement and open-hearts filled the air as we embraced each others’ cultures while sharing our own. As we sang our much-loved local pop-song – Bunga Sayang, it felt like we had transported our new found friends to our village by the sea (we even had special effects from the cool sea breeze). Singing Ko Matsushita’s Cantate Domino with the other choirs at Sopot Pier brought a different meaning to caring and sharing. 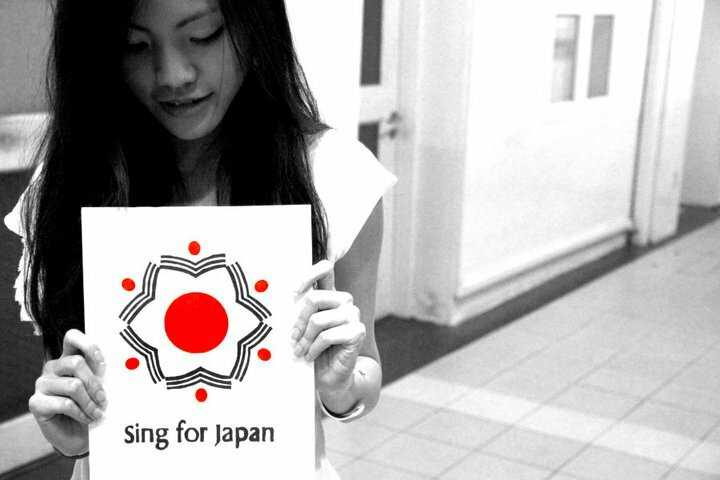 I’m happy that we could also do our part as instruments of peace to help our friends in Japan. After all, what would a voice be if there were no heart? With a blast (literally), we were brought into a different universe by Ko and our fellow friends from Gaia as he came to conduct us at yoKOso! As we flew across time and space continents, we visited music from the different periods, genre and languages. Parlez-vous français? I love early music as much as I love contemporary works. Thank you for the chance to sing one of my favourite pieces – Victoria’s O Magnum Mysterium. And also for the chance to experience onsen-dipping, snowy mountains and fishing villages. In exchange, some of us went over..
Amid the packed schedule, we took time to roll-crawl-hop-skip-run all in the name of bonding and fun. I really enjoyed our brief taste of touch rugby and water-bombing. Let’s do it again! On a separate note, congratulations again to 2011 Cultural Medallion recipient, Dr. Kelly Tang. Thank you for sharing your music and vision with us! Talking about realm, rehearsing the Rothko Chapel can sometimes send one pondering much, reflecting on shades of black on black..Ohm. And then there was the performance day itself. That day will definitely be one of the most memorable days of 2011 for me. So you see, some of us hold what one might call a ‘day job’ that sometimes being called a ‘day’ job is a misnomer. We were supposed to report at the Esplanade at 630pm. 545pm, an urgent issue at work cropped up. 620pm, the scenic sprint across Esplanade Drive/Bridge from One Raffles Quay began. 635pm, arrive at Esplanade fully warmed up. 730pm, performance. It was a good performance. 8pm, done with Rothko Chapel and off to the Singapore Conference Hall for our rehearsal with the Singapore Chinese Orchestra. 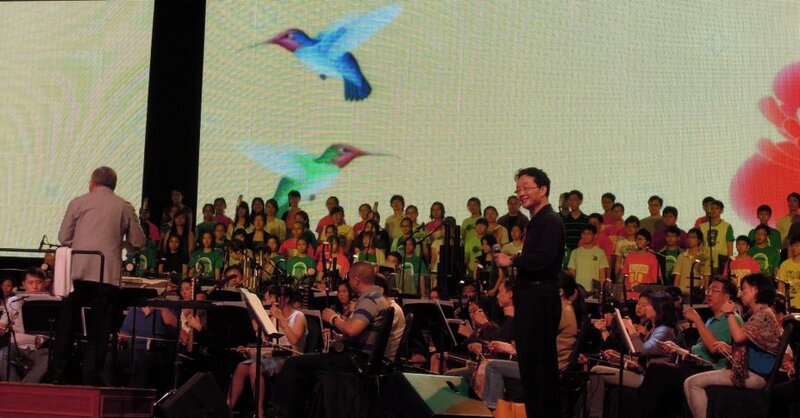 We were rehearsing for a performance for Poh & Co’s anniversary which featured one of Mr. Poh’s own composition “愛” – love your country like how you would love your family. 10pm, done with rehearsal and back to work. So who said bankers have no life?! No more ‘do-the-shoulder’ bogey for me for a while though..
What better way to end the year by lending our voices to the Kodaly Seminar as we played demo choir for the participants, as well as carol with the St Andrew’s Secondary School choir. Looking back at 2011, I must say that it has been a very eventful year. All these against the backdrop of losing our home at 54 Waterloo Street. But evidently it can only get more exciting from here. Have road, will travel. Thank you SYCES for a fantastic 2011. Thanks for the music, the friendships and for keeping me sane. Until 2012, wishing all a Merry Christmas and a Happy New Year! 2010 rolls by in a rush! SYCES recaps the LOVE thus far, and invites you to share our JOY. Part 1 of a 3-part series. Watch this space! Up next, we present GIOIA: An evening of rhapsodic sonnets, song offerings and the Song of Songs. Pain and poetry, elation and ecstasy — the SYC Ensemble Singers explore the facets of Joy (or its absence) in LOVE, in being loved or not being loved, in loving from afar, and in the Greatest Love of All. Keppel Nights 50% Subsidy $11(exc. SISTIC fee, conditions apply). Visit http://www.keppelnights.com to obtain a valid Keppel Nights password. 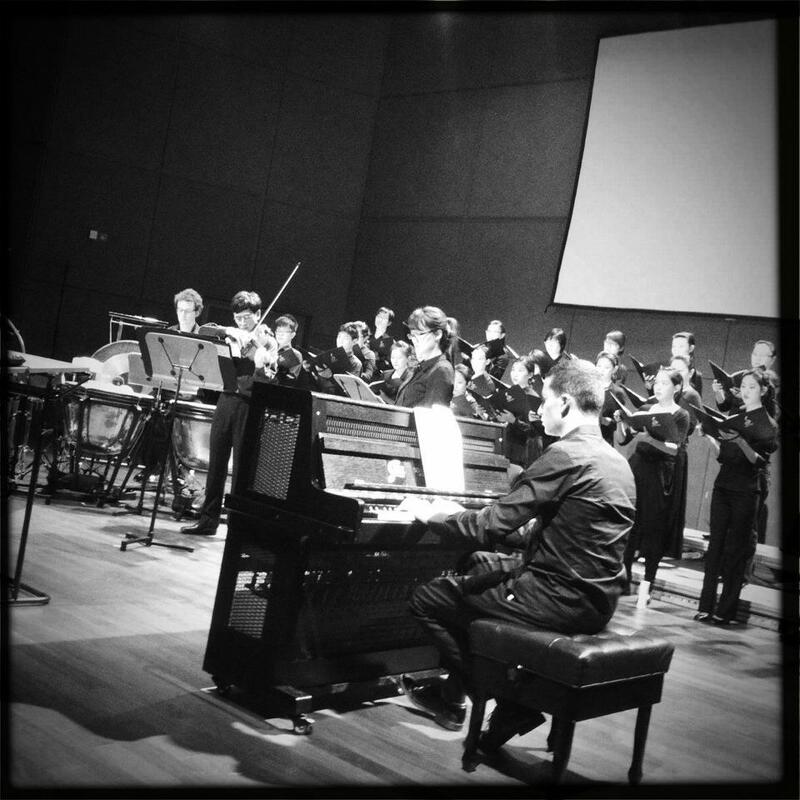 The jazz ensemble gets groovy for Vytautas Miškinis’ Light Mass! SYC closes the year with a special concert at the Esplanade Concert Hall on 13 December, with special musicians on stage. We have Vytautas Miškinis (from Lithuania, land of choral giants) to direct the SYC Ensemble Singers in an evening of music from the Baltic states, and also local jazz musicians Tamagoh and Tony Makarome to premiere a work for choir, jazz trio and additional piano, the Light Mass (by Miškinis himself). We are privileged to have such luminaries as our friends, on stage with us. Share this extraordinary celebration with us! 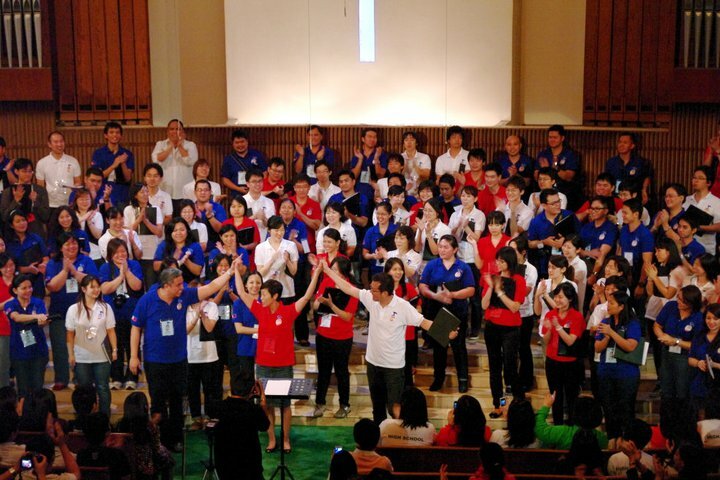 Jennifer answers our burning questions about sopranos, choirs and why it’s great to be Singaporean. This is the 3rd segment of a 4-part interview. Watch this space!